On Wednesday evening, November 4th the firefighting brigade embarked on its weekly fire company training. 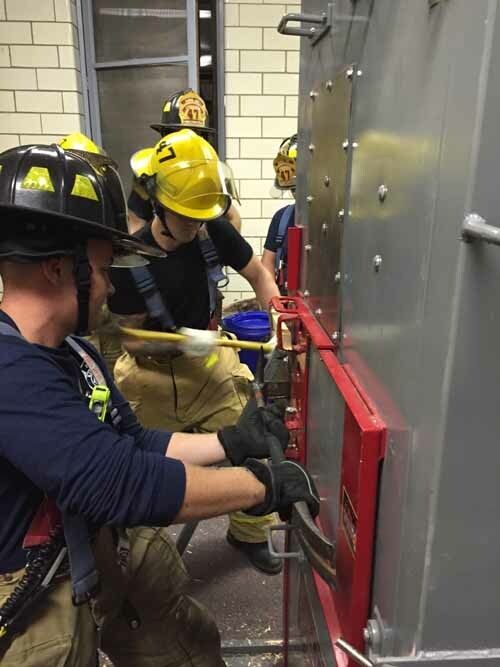 18 of the bravest were treated to some classroom and then hands on forcible entry training. Norristown Fire Department Assistant Chief, Richard Lockhart was our instructor for the evening. Rich did a great job explaining the various entry challenges firefighters face, whether at a residential or commercial property. The crew then went through several varying entry evolutions with a forced entry door prop. Crews used various hand tools as well hand-held hydraulic devices. The crew expressed their gratitude and appreciation for Rich’s efforts in helping us hone our truck company skills.